In 1878 the Coventry Machinists Co. introduced the 'Club'. 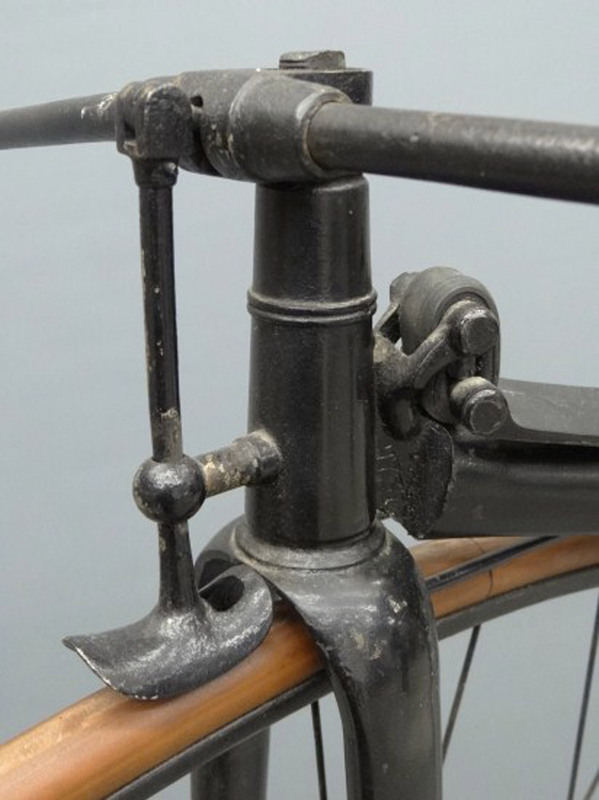 This bicycle made all othe bicycles of the time look oldfashioned and it is regarded to have introduced the final stage in ordinary bicycle development. - direct spokes without locknuts, the thick end makes it impossible to break in the hub. These were patented. In the first two years, some changes were made by the factory. - In 1879 came the spring you see in the pictures. 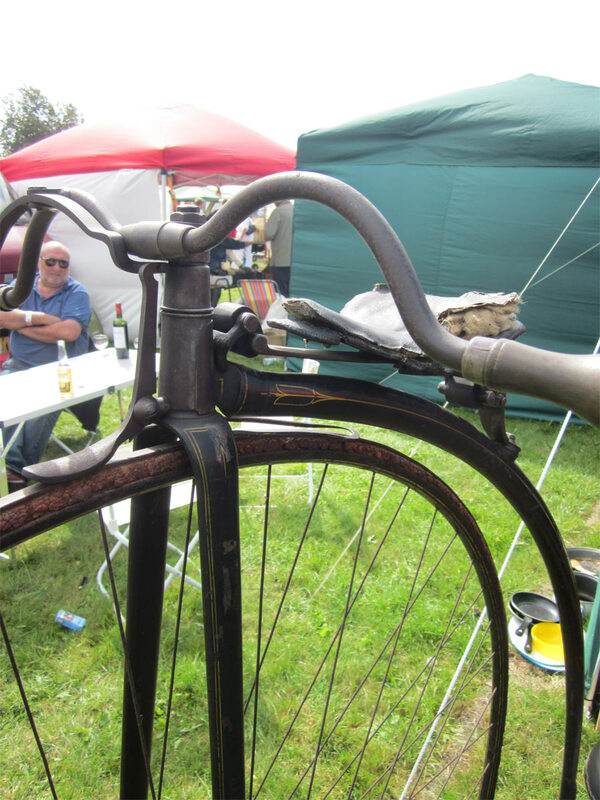 The rear support was working properly and CMC used it until the end of their ordinary production in 1892. The front mounting of the spring is (again) incredibly rare. A lot of these bicycles have been rebuilt with later springs. In 1880 the front mount changed again. Look at this one - its the final form of the famous CMC spring. 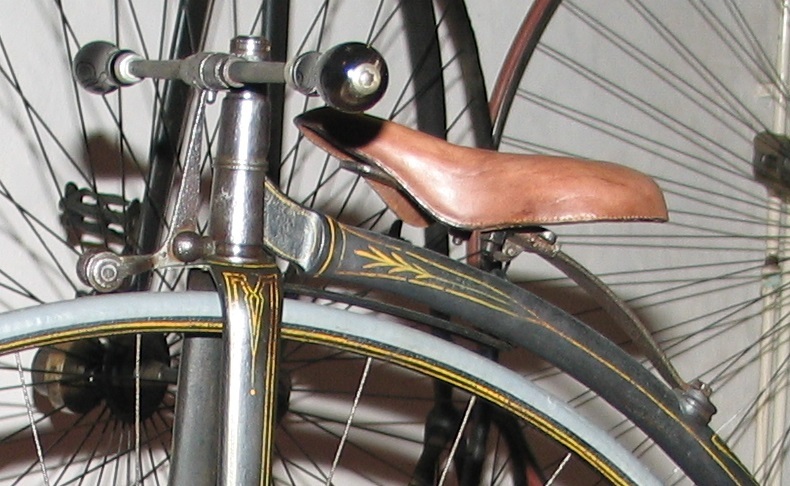 - In 1878, 1879 and 1880 they used three forms of front wheel brakes. The direct shoe, the direct roller (like in the pictures) and a spoon with a roller at the end. 1881 brought the normal shoe, that we see on all 1880's ordinaries. So, looking at the spring the 1879 model in the pictures is the 2nd model of the Club. Serial number is 17245. Thanks Andreas for your pictures.